Brownies You’ll Be Famous For! I love brownies and I always have! I’m pretty sure it’s because of this lifelong love affair that I’ve had with chocolate. I have eaten many a tasty brownie but I had to find my own recipe. I searched high and low and found one that I labled, “the bomb brownies” after I made and tasted them. 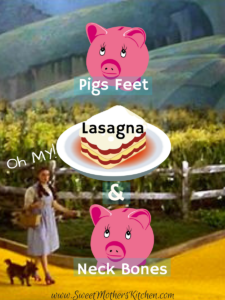 I then promptly lost the recipe! 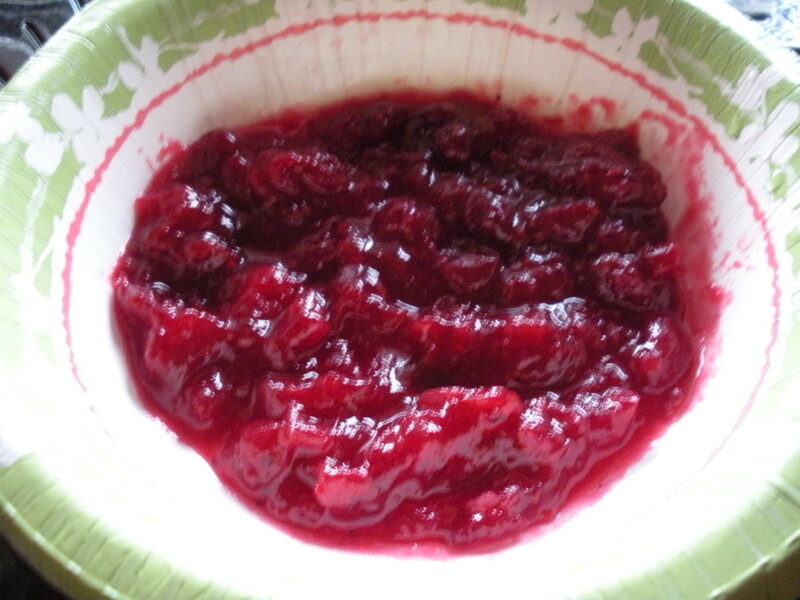 I searched high and low for it, in the house, online, in my recipes stashes but to no avail. So what to do?! Try to find the recipe again of course and of course I couldn’t find it! At least I couldn’t find the recipe I thought I’d used so, time to come up with my own. This is it folks, you’re welcome, for real, for real! This is the result of my search for the perfect brownie! 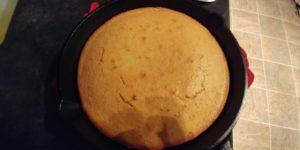 I'm satisfied with this recipe but I can't promise not to change it. 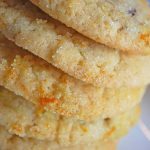 I'm constantly developing recipes to find a better end result. Don't get me wrong, this brownie recipe is all that! Wait till you try them. I'd love to know what you think! Add everything (except chips & nuts) to a bowl and stir to combine. Add chips & nuts and pour into a parchment lined pan. Bake at 325 for 45-55 minutes or until toothpick comes out clean. Cool and ice or eat plain. Enjoy! 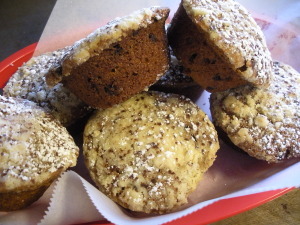 Note: Parchment lined pan is in bold for a reason. Don’t forget to line your pan or your brownies will become brownie spoonbread! Every Great Meal Starts With An Organized Kitchen! The links in this post are affiliate links and if you click on them and make a purchase, I will be paid a small percentage for referring you but it won’t cost you one penny more! Thanks! Organization is important in many areas of our lives and some say in every area of our lives! One place that I’m most familiar with that screams for organization is the heart of the home, the kitchen! A disorganized kitchen can literally lead to disaster! Not finding a utensil, container, tool or gadget that you need when you need it can lead to lost recipes, burned dishes and disappoinment! 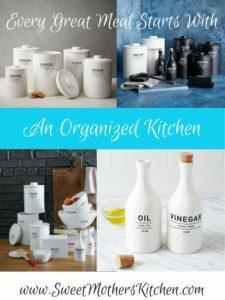 Sweet Mother’s Kitchen will scour the internet to find the best kitchen tools, gadgets and storage solutions that we can find to help you get and stay organized in your special space! Check our pinterest board and of Sweet Mother’s Kitchen for the latest and greatest kitchen organization finds from the world to you! Too Cute To Cook Aprons! 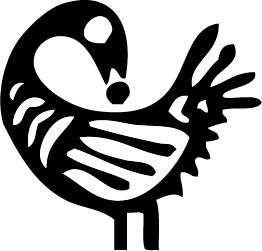 The links in this post are affiliate links and if you click on them and make a purchase, I will be paid a small percentage for referring you. Thanks! You know you’ll be too cute to cook when you’re wearing one of these adorable aprons in the kitchen during the holidays, or any other day! How fabu will you be on Christmas day in your red, white and black Christmas colors apron! Looking like Mrs Claus wishes she could!!! Ruffles, bows and polka dots, oh my! 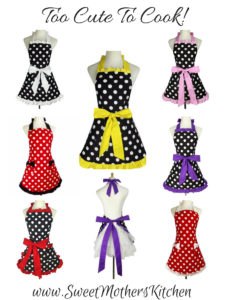 These are some of the cutest aprons I’ve seen at a price this low! So, so adorable, I want one in every color and at $6.29 each – why not!??? You better slay! — and I ain’t talkin bout the one Santa rides around delivering toys in! A couple of years ago, I did an event at my church in honor of our First Lady. 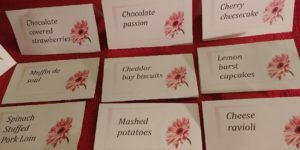 I made cards to put beside each dish that I thought might need to be identified. It’s a nice touch and really elevates a simple buffet to a more elegant affair. The cards turned out quite nice (see below)and the table looked great! 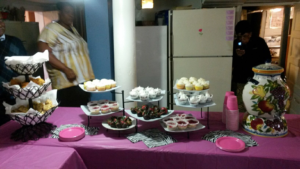 I used my best serving ware, candles and color coordinated table cloths, napkins, plates and cups! Doing little things can bring big rewards and I think it’s always worth it to go the extra mile. People actually remember how beautiful everything looked as much as they remember how good everything tasted! 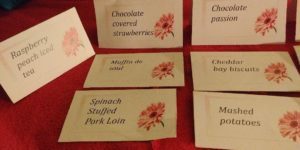 It did take a bit of time to print out cards for the food items. You have to shop for the card stock, find the right template, have a printer, ink and have everything aligned correctly. 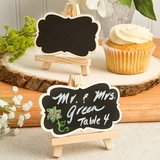 I think the chalk board easels will be the best bet for saving time and money. All you need is some chalk and you’re good to go! 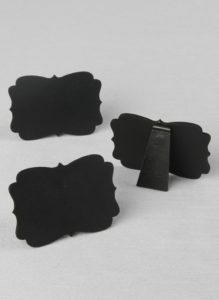 These little chalk boards (place cards) are perfect for your holiday buffet. I’m using them to write the name of the dish and place it in front or beside it. These are especially helpful when you’re having a large affair with lots of food and people (Thanksgiving??? :)) On a buffet table, dessert table or any event where it’s helpful! 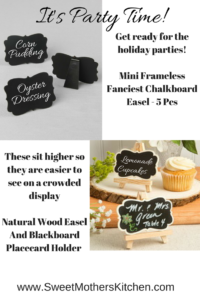 The best thing about these cute little blackboards on easels is they are on sale and priced right just in time for the holidays!!! I ordered 40 of them and I’m only paying $20.40 – can you say BARGAIN!!!! Some web sites are selling these cuties for $3.99 for one!!! I have found them for different prices depending on how many you buy, but my affiliate link will take you to the place that I found them for the best price. If you buy less than 40 they are .77 cents each but if you buy 40 the price drops to .51 cents each – SCORE!!! I think they are adorable and I’ll use them for Thanksgiving in a couple of weeks as well as a Christmas potluck at church! One quick tip for serving pieces to make your table or buffet more beautiful, scout out your local used/second hand goods store. I have found some beautiful serving dishes and bought them for pennies on the dollar of what they are worth! I love thrift shops! By the way, I ordered them a couple of days ago and they’ll be here tomorrow via Fedex. It’s more than I would usually pay but with the holidays a couple of weeks away, it’s worth it – this time! I always keep my eye on shipping costs because if you don’t, it’s a good way to get ripped off! You might pay a cheaper price but if you’re paying an arm and a leg for shipping, it affects the price you pay overall! 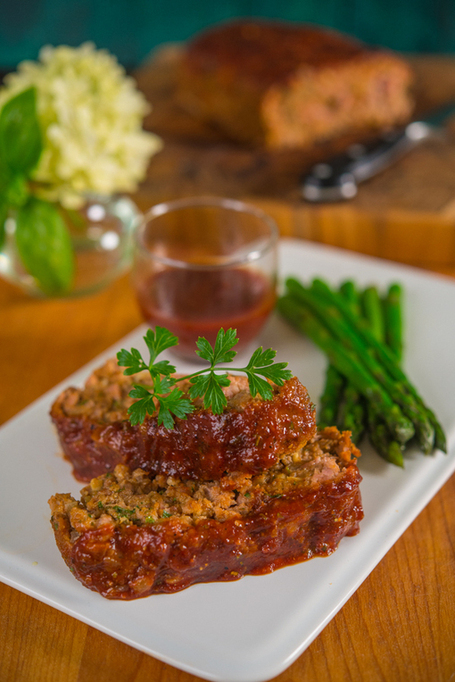 I am one of those people who use ground turkey like other people use ground beef so this recipe for barbecue turkey meatloaf is not a stranger to me! I use it in chili, spaghetti/pasta sauce, burgers – everything! 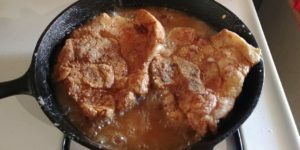 If you haven’t tried ground turkey, check out this recipe and discover not only how versatile it is but also how delicious it is!